As the famous, at least to those of us who participate in Sionfonds for Haiti medical trips, Scott Bullock said last November “We work hard when we come to Haiti, but I always get more than I give.” I agree a thousand times over–as I leave Haiti today I feel incredibly blessed to have this place and the people here as a part of my life. I am going home to my family but leaving family here too and I will miss them. 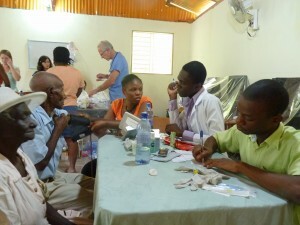 Our medical trips are like family reunions every six months. 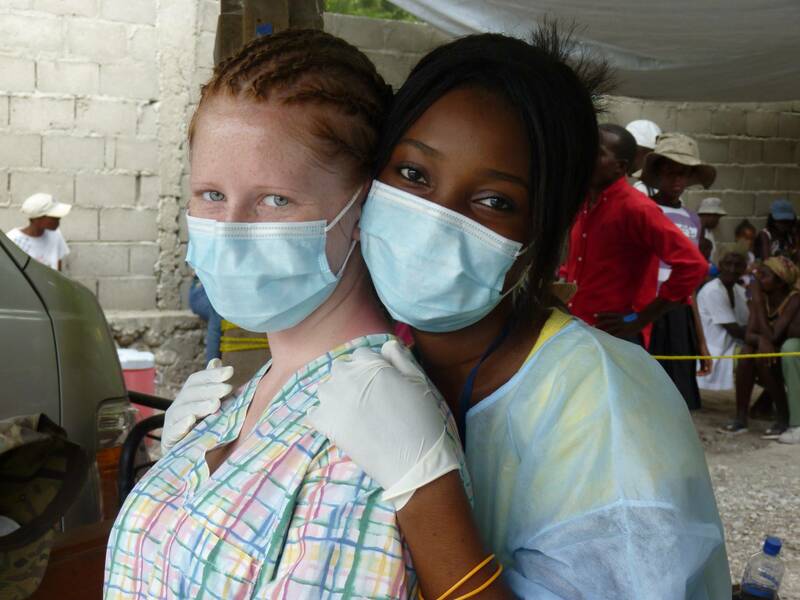 We come together to work for Haiti providing medical and dental care and to laugh and travel and eat together. It is a sort of miracle that we transport 45 people all over the southern coast and into the mountains on foot, and set up 5 clinics and treat thousands of people in just 7 days. I am so grateful to everyone on our medical team, those who support us, those who come to Haiti and those who live here in Haiti. Returning home I know people will ask how things are in Haiti. It is not easy to live here. The challenges are greater than I can ever know so I do not think I can judge if things are ‘ getting better’ despite having been coming here for many years now. 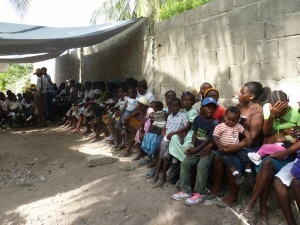 Since the earthquake, most of the news that comes out of Haiti is not good. I do know that recovery is slow and seems insurmountable. When I am asked, I will say that yes there are still people living in tent cities and broken fallen down houses and piles of rubble throughout Port au Prince and the surrounding towns, and I will also say that I saw people and machines clearing rubble and construction going on everywhere we went. I saw more construction materials being transported as we drove the southern coast than ever before. I saw a garbage truck in downtown PaP with men shoveling garbage into it. The shacks that had been built on the meridian on the main Hwy out of PaP toward Leogane are gone, and that big garbage/rubble pile called Alpha One is half the size it used to be. They are repaving the road to Kenscoff. Before the earthquake I do not remember any road paving or garbage trucks. We visited a brand new hospital just built by the Haitian government in Port de Piment. It has only one doctor and three nurses and no electricity but it has the potential to be something vital to the surrounding communities. 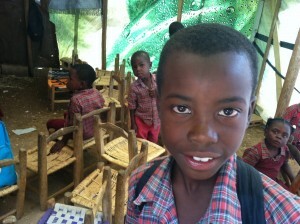 There seems to be more resources and possibilities in the air throughout Haiti. Now that a new president has been elected my hope is that more of the aid pledged to Haiti will begin flow into the country. Sionfonds for Haiti’s work remains the same–to provide educational opportunities and the foundations (healthcare, jobs and job training, nutrition) for Haitians to change their lives and country. The challenge for Sionfonds in the US is to continue to inspire those who can to support our work and the Haitian people we serve. All of our work can only be done with the support of people like you. And you can help more than you think you can, just by talking about our work and the experiences shared here and sending in donations of any size it all helps. As the earthquake recedes in the memory of popular culture, Haiti continues on, as always, doing the most with what they have, the future is uncertain and today is immediate and real. Sionfonds shares the uncertain future of Haiti, we will do the most with what we have, and what we have depends on you. Thanks for supporting us and your interest in Sionfonds work in Haiti. I am having a garage sale at my home next Saturday, June 25 to raise money for Sionfonds. I am very excited to be able to help. I first heard about Sionfonds when one of your medical volunteers, Karen Olson did a presentation at the school where I work, (and where her children attend.) Her presentation insired me to do something to help. Do you have any brochures or pictures that I could display at the garage sale? I thought it might be a good way to get the word out about Sionfonds. If you don’t, I’ll just make some flyers of my own to put out. Thank you for everything that you are doing for Haiti!! I found your blog on google and read a few of your other posts. I just added you to my Google News Reader. Keep up the good work Look foarrwd to reading more from you in the future.